Circular cupro-nickel medal with claw and ribbon bar suspension; the face with the crowned head of King George VI facing left, circumscribed ‘GEORGIVS VI D : G : BR. OMN : REX F : D ; IND : IMP. (George VI by the Grace of God King of Great Britain, Defender of the Faith, Emperor of India), signed ‘PM’; the reverse with the arms of Australia centrally, circumscribed above ‘THE AUSTRALIA SERVICE MEDAL’ and dated ‘1939-1945’ below; attributed on the edge to ‘VX7453 A.T. MACDONALD’; on original ribbon. 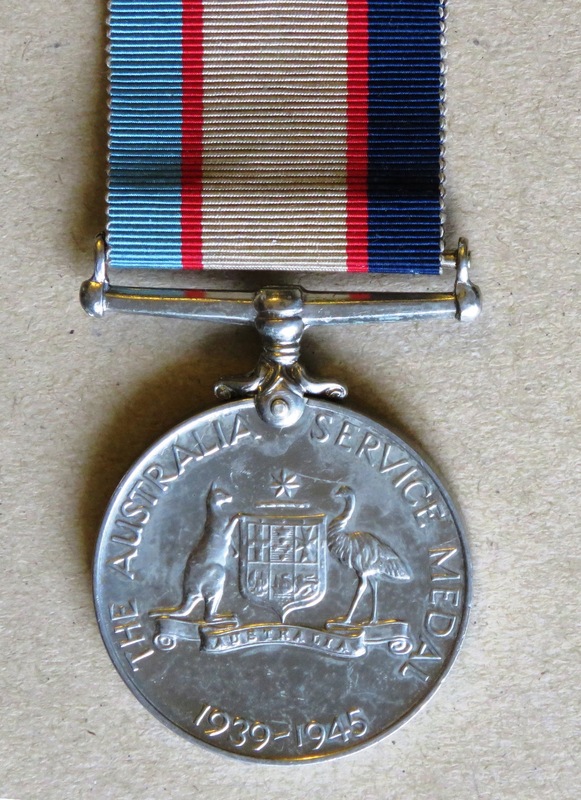 The Medal was instituted in 1949 and originally awarded to Australians who had served for eighteen months overseas or for 3 years at home between 3 September 1939 and 3 September 1945. In 1999 this was reduced to 30 days full time service or 90 days part-time service. 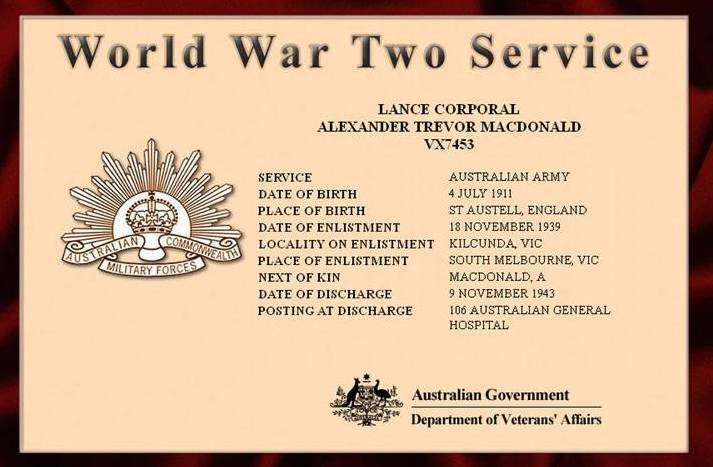 Lance Corporal Alexander Trevor MacDonald was born at St. Austell in Cornwall, England, on 4 July 1911 and enlisted at Kilcunda, Victoria, on 18 November 1939. He was discharged from service at 106 Australian General Hospital on 9 November 1943. 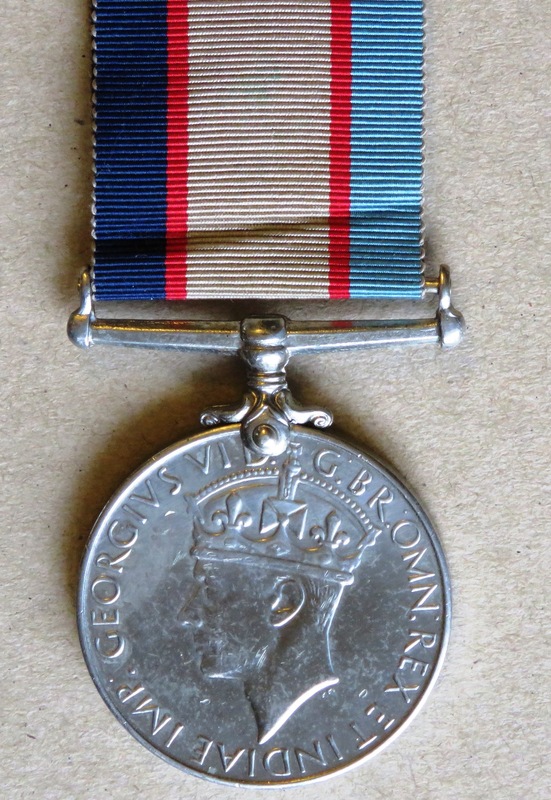 Sold with a copy of his Australian Government Department of Veterans’ Affairs certificate of World War Two Service.